Along with the great and the good of the Scottish and national media Ayrshire and Arran Golf Partnership sat alongside golf club and hospitality businesses this morning to hear of the plans for a strategic alliance between Prestwick Airport and Trump Aviation Operations. 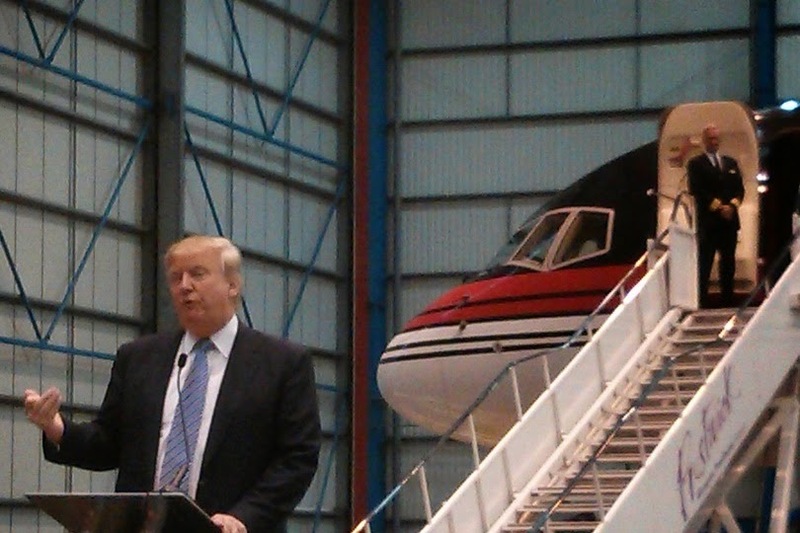 The announcement confirmed that Trump Aviation will utilise Prestwick Airport as the Scottish base for all of its aviation operations which include Trump's private Boeing 757 and Sikorsky 76B Helicopter and in making this announcement it will service the Trump Turnberry Resort in which a £250 million investment will transform Turnberry "into the finest resort in the world". "We are thrilled to be partnering with Glasgow Prestwick Airport. They have a tremendous facility with a unique rich history. Their expert team and state of the art operation is perfectly aligned with our global client and member base that travel frequently to Scotland and to Trump Turnberry one of the most beautiful destinations anywhere and home to many of the finest golf resorts in the world." " We are very excited to be working closely with the Trump Organisation going forward and are delighted that Prestwick has been chosen to be the European base for the Trump Sikorsky Helicopter. Forging a new partnership will undoubtedly be mutually beneficial to both parties however it will also bring significant opportunities for the region as more inbound visitors travel to visit the legendary Trump Turnberry Resort." 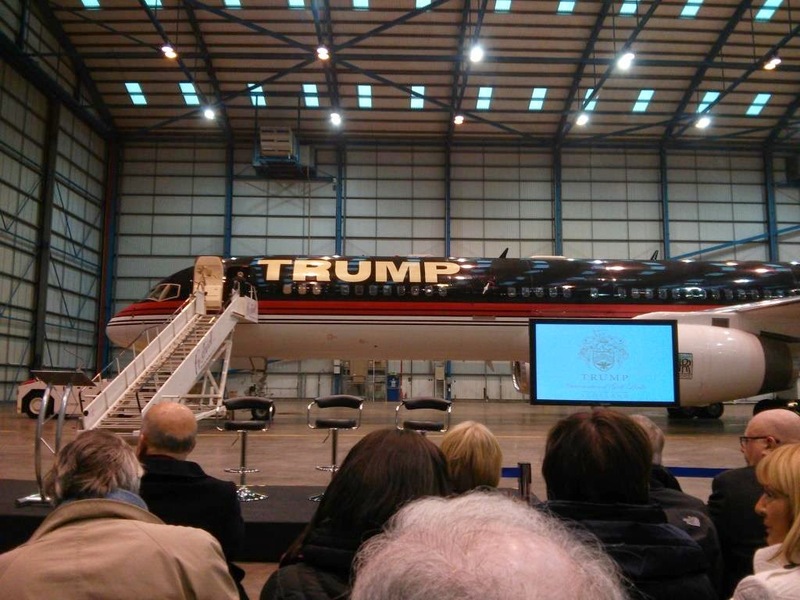 Donald Trump outlined some of his hopes for the future suggesting that hundreds of new private flights could be attracted to use Prestwick in the next two to three years. In addition he outlined some of the changes ahead at Trump Turnberry including the creation of new world class Ballroom, the rebuilding of the golf clubhouse and the planned start date of 1st October 2015 of the reshaping of the Open Championship course including plans to upgrade the old Turnberry Lighthouse into the "world's greatest halfway house" and place the new ninth green adjacent to it making it a Par Three playing across the sea! Mr Trump departed the press conference in his own inimitable style by bidding the press and industry a fond farewell and climbing the steps to his private jet before the grand opening of the massive hanger doors allowed the jet to be taxied to the runway. He left behind however a more motivated and optimistic airport team and a tourism sector that would clearly be joint beneficiaries to the new partnership. Ayrshire is and always has been a wonderful location for golfing visitors from across the world and the opening up of new private charter business into the airport in association with Trump Turnberry will only reinforce the message that Ayrshire is Scotland's finest and most accessible golfing destination. Whether you wish to arrive by ferry from Belfast, train from Manchester or by private just from New York it will always be "Our Golf Your Way!" It is not ever easy to mingle with people of a new country. But when you have services of a tour guide like Green Visa, it all is a piece of cake! This service in Vietnam really made me fall in love with the place.